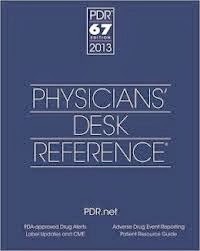 Virtually every physician in the United States uses the Physicians' Desk Reference (PDR) -- the most widely used compilation of prescribing information used by physicians. Readership studies indicate that nine out of ten doctors consider the PDR their most important and most frequently consulted reference book. The PDR is an annual directory of ethical pharmaceutical, biological, and diagnostic products intended as a service to the medical field. Physicians and health care professionals rely on the PDR as a source for understanding the many pharmaceutical and non-pharmaceutical products available. Physicians often recommend or prescribe a certain product or pharmaceutical based on the validity and reliability of the descriptions in the PDR. Physicians depend on the fact that the manufactured product described in the PDR contains the exact amounts and types of ingredients listed and that the product delivers the precise effects described therein. Each year, copies of the PDR are distributed to approximately a half-million practicing physicians and chief pharmacists at major hospitals in the United States. In addition, medically sophisticated consumers, institutions, and other allied health professionals--including dentists, nurses, veterinarians, hospitals, managed care organizations, and public and legal libraries--purchase the book, raising the total distribution to well over one million copies. The PDR includes prescribing information on over 3,500 products from more than 250 manufacturers. So, if you speak to your physician or health care professional and they are unfamiliar with USANA, have them look the products up in their PDR. Having USANA's products in the Physicians' Desk Reference offers added credibility to USANA's already solid standard of quality, reliability, and integrity. 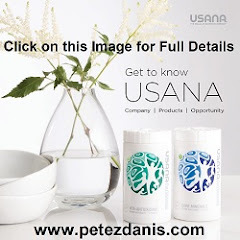 PDR ONLINE: http://www.pdr.net/ - Lists some of our USANA Products. David wasn't sure what to do next... Seems he'd contacted an old friend about his new business two weeks ago. A former co-worker, Mary, had expressed interest and even agreed—although a bit reluctantly—to review one of David's business information kits. Sadly, but for the moment, our fictitious friend David now found himself lost somewhere in that barren mental wasteland we call, "What-am-I-supposed-to-do-now?" What about you? Do you know any business-builders like David? Perhaps intimately? Make your initial contact using a system. For purposes of this example you could provide the initial exposure by 3-waying your prospect into your company-approved, on-demand, five-minute business overview. After your prospect had listened to your message, you would need to advance them to the second exposure. In this case, you could e-mail them a link to your Website. You might also invite them to listen to your next conference call, mail them your business information kit, or get together in person. By this time you could have sponsored your next business-builder, or your prospect may still need a little more information. This third exposure may well include a two-on-one presentation with your sponsor, an invitation to attend a home meeting, or an invitation to your next business briefing. The point is, your prospect needs something more and you have a few options. 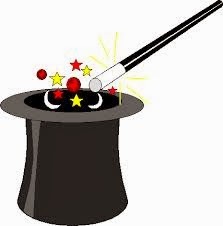 Once you've exposed your prospect a third time—and if your prospect still has more questions—your next step would be that magical fourth presentation. Here, your upline could answer any remaining questions your prospect may have, validate the benefits your company offers, and ask them to join your business. Set up this fourth exposure by scheduling the call with your upline. Few things in life can be more unpleasant than trying to reach your sponsor with that hot prospect on the line, only to find out they're not home—or worse, they can't take your call. "Michael, it's David. I have Mary Smith on the line with us. Mary and I go way back, and for the last few days she has been looking at the business... Mary has listened to our recorded message, watched the presentation on our Website, and was my guest on our last conference call. Mary mentioned she had a few questions regarding ______, and I suggested you would be the best one to answer these... Mary this is Michael. Michael this is Mary." Your next step is to listen, and learn everything you possibly can. "Mary, it has been a real pleasure speaking with you this evening. David and I work very closely together, and believe me, he can show you how to make this business work for you. I'll go ahead and let the two of you finish up. And Mary, I am looking forward to working with you..."
Multiple exposures over a short period of time—teach everyone the magic. · What is Dr. Wentz’s vision? 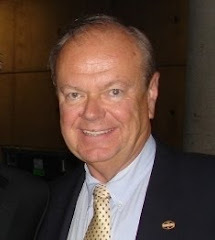 · What is USANA’s Mission? The bad news is that more people answered incorrectly than correctly. The moral of that story is: If you want to be really good at something, be sure you know exactly what it is that you want to be really good at. Also, when I told some people that their answers were not correct, they became very insistent that they were right and I was wrong! (Where have I heard THAT before? J ) Dr. Wentz’s Vision Statement and USANA’s Mission Statement can be found in many places online and in various USANA publications. 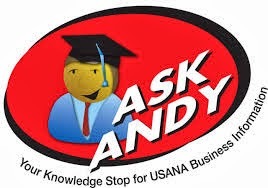 However, to put the issue to rest once and for all, the best and easiest way to verify that the above Vision and Mission Statements are correct is to go where we should always go when we have USANA questions: “Ask Andy”. 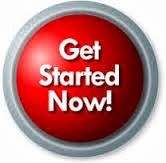 Log on to your myUSANA web page and go to the Ask Andy page under the “Training” tab. In the search box, type “Dr. 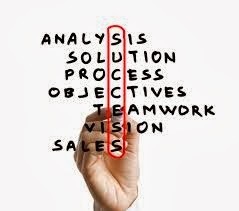 Wentz Vision” and “USANA Mission Statement” to get the information you want. Again, congratulations to all the winners, and best of success to everyone in 2014! Increased physical activity is known to be associated with long-term successful weight loss maintenance due to mechanisms more complex than simply increased energy expenditure. A new study using MRI imaging has shown that intense exercise not only affects energy output, but it also may influence how people respond to food cues. Short bouts of intense exercise are known to suppress hunger through appetite regulating hormones. In a new study published online in the American Journal of Clinical Nutrition, researchers aimed to determine the effects of high-intensity exercise on central (brain) response to visual food stimuli. The study included 15 healthy men of normal weight that completed two 60 minute experiments: exercise (running at 70% maximum aerobic capacity) and a resting control. After each trial, images of high and low-calorie foods were viewed and the brain response to the foods was measured using an MRI. After the bout of exercise, thirst and core body temperature were increased while appetite response was significantly suppressed. Exercise significantly suppressed ghrelin (an appetite stimulating hormone) and enhanced the release of peptide YY (an appetite reducing hormone). When compared to the resting control, neural (brain) response in the brain’s reward related regions were stimulated in response to viewing the images of low-calorie foods but suppressed upon viewing images of high-calorie foods. This study has shown that high intensity exercise increases neural responses in reward-related regions of the brain in response to images of low-calorie foods and suppresses activation during the viewing of high-calorie foods. These central responses are associated with exercise-induced changes in peripheral signals related to appetite-regulation and hydration status. A recent study has found that acid reducing drugs used to treat gastroesophageal reflux disease (GERD) can reduce the amount of vitamin B12 that is absorbed and may lead to a deficiency. Vitamin B12 insufficiency is relatively common, especially in older adults. Over time, an insufficient intake of vitamin B12 can cause an outright deficiency. Vitamin B12 deficiency, if is not corrected, may lead to serious complications such as dementia, nerve damage, anemia and other potentially irreversible conditions. 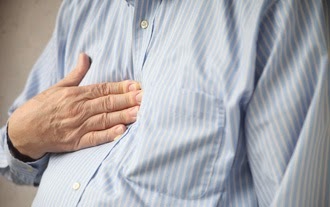 A recent study has shown that the use of the acid suppressing drugs known as proton pump inhibitors (PPIs) and histamine 2 receptor antagonists (H2RAs) suppress the production of gastric acid and may further complicate B12 malabsorption. In this study, published in the Journal of the American Medical Association, researchers sought to examine the association between long-term exposure to these medications and vitamin B12 deficiency. The study included 25,956 adults diagnosed over the past 4.5 years with B12 deficiency and 184,199 subjects that were not deficient. Pharmacy records were used to provide information to determine who had been prescribed PPIs or H2RAs for at least two years. Compared to those not taking the medications, there was a 65% greater risk of a B12 deficiency among those who were taking proton pump inhibitors and a 25% greater chance of deficiency among those using the histamine 2 receptor blockers for 2 years or more. The risk of deficiency was nearly doubled in those taking the higher dosages of PPIs compared to those not using the medications. After discontinuation of the drugs, the strength of the association was lessened. The results of this study show that previous and current gastric acid inhibitor use is associated with an increased risk of vitamin B12 deficiency. While these findings do not recommend against the appropriate use of these medications, these results should be considered when balancing the benefits and risks of using these medications. In addition, it is also advisable that the lowest effective dosage should be used. Lam JR, Schneider JL, Zhao W, Corley DA. Proton pump inhibitor and histamine 2 receptor antagonist use and vitamin B12 deficiency. JAMA. 2013 Dec 11;310(22):2435-42. doi: 10.1001/jama.2013.280490. Most people are dramatically underpaid in Network Marketing because they think TOO SMALL. Set some outrageous goals and make them happen in 2014. You deserve it! Previous research has shown that magnesium plays a role in maintaining healthy blood pressure, inhibiting platelet aggregation, modulating inflammation, and is important for normal vascular health. In a recent study published in the Journal of Nutrition, researchers sought to assess the association between magnesium intake, cardiovascular disease (CVD) and mortality risk in a Mediterranean population at higher risk for developing heart disease. After an average follow-up time of about 5 years, there were 323 total deaths documented. Of those, 81 deaths were attributed to cardiovascular disease (stroke, heart attack, heart disease), and 130 deaths to cancer. Compared to lower magnesium consumption (average 312 mg/day), the subjects in the highest third of intake (average 442 mg/day) had a 59% reduced risk of death from CVD, a 37% decreased risk of death from cancer, and a 34% reduction in all-cause mortality. In this study of Mediterranean adults, high intakes of magnesium in the diet reduced overall mortality and deaths from cardiovascular disease and cancer. 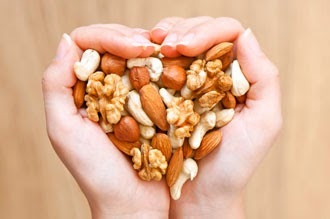 It is estimated that only about 20-30% of U.S. adults are currently meeting the recommended intake of magnesium in their diets. If you want to be a leader who attracts quality people, the key is to become a person of quality yourself. Leadership is the ability to attract someone to the gifts, skills, and opportunities you offer as an owner, as a manager, as a parent. What's important in leadership is refining your skills. All great leaders keep working on themselves until they become effective. Learn to be strong but not impolite. It is an extra step you must take to become a powerful, capable leader with a wide range of reach. Some people mistake rudeness for strength. It's not even a good substitute. Next, learn to be kind but not weak. We must not mistake weakness for kindness. Kindness isn't weak. Kindness is a certain type of strength. We must be kind enough to tell someone the truth. We must be kind enough and considerate enough to lay it on the line. We must be kind enough to tell it like it is and not deal in delusion. Learn to be bold but not a bully. It takes boldness to win the day. To build your influence, you've got to walk in front of your group. You've got to be willing to take the first arrow, tackle the first problem, discover the first sign of trouble. Like the farmer, if you want any rewards at harvest time, you have got to be bold and face the weeds and the rain and the bugs straight on. You've got to seize the moment. Here's the next step. You've got to learn to be humble but not timid. You can't get to the high life by being timid. Some people mistake timidity for humility. But humility is a virtue; timidity is a disease. It's an affliction. It can be cured, but it is a problem. Humility is almost a God-like word. A sense of awe. A sense of wonder. An awareness of the human soul and spirit. An understanding that there is something unique about the human drama versus the rest of life. Humility is a grasp of the distance between us and the stars, yet having the feeling that we're part of the stars. Here's a good tip: Learn to be proud but not arrogant. It takes pride to build your ambitions. It takes pride in your community. It takes pride in a cause, in accomplishment. 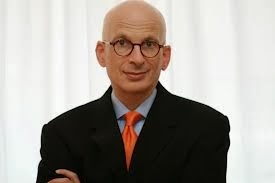 But the key to becoming a good leader is to be proud without being arrogant. Do you know the worst kind of arrogance? Arrogance from ignorance. It's intolerable. If someone is smart and arrogant, we can tolerate that. But if someone is ignorant and arrogant, that's just too much to take. The next step is learning to develop humor without folly. In leadership, we learn that it's okay to be witty but not silly; fun but not foolish. Next, deal in realities. Deal in truth. Save yourself the agony of delusion. Just accept life as it is. Life is unique. The whole drama of life is unique. It's fascinating. Life is unique. Leadership is unique. 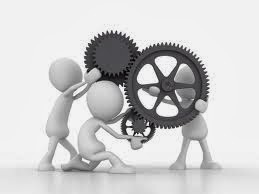 The skills that work well for one leader may not work at all for another. However, the fundamental skills of leadership can be adopted to work well for just about everyone: at work, in the community, and at home. Vampires, of course, feed on something that we desperately need but also can't imagine being a source of food. You have metaphorical vampires in your life. These are people that feed on negativity, on shooting down ideas and most of all, on extinguishing your desire to make things better. Why would someone do that? Why would they rush to respond to a heartfelt and generous blog post with a snide comment about a typo in the third line? Why would they go out of their way to fold their arms, make a grimace and destroy any hope you had for changing the status quo? Vampires cannot be cured. They cannot be taught, they cannot learn the error of their ways. Most of all, vampires will never understand how much damage they're doing to you and your work. Pity the vampires, they are doomed to this life. Your garlic is simple: shun them. Delete their email, turn off comments, don't read your one-star reviews. Don't attend meetings where they show up. Don't buy into the false expectation that in an organizational democracy, every voice matters. Every voice doesn't matter--only the voices that move your idea forward, that make it better, that make you better, that make it more likely you will ship work that benefits your tribe. It's so tempting to evangelize to the vampires, to prove them wrong, to help them see how destructive they are. This is food for them, merely encouragement. Shun the ones who feed on your failures.